Oceania's six ships are neither gigantic floating amusement park-malls nor exclusive enclaves accessible only to the wealthiest cruisers. They are upscale and intimate, emphasizing food, destination and a grown-up experience. If you're looking to upgrade your cruise experience or are lured by an amazing itinerary, here are eight reasons why Oceania might be the line for you. Oceania's R-class ships each carry 684 passengers and its two O-class ships carry 1,250. You won't be fighting over deck chairs on the pool deck, waiting in huge queues to debark or starve in a buffet line while you wait your turn to get food. You want to try a small ship without paying luxury price tags. Oceania is a great introduction to high-end cruising without having to pay the premium for a true luxury line. The line offers a range of cabins from cozy inside cabins to humongous designer suites, so you can choose the price point you're comfortable with. Its fares are less inclusive than lines like Regent or Crystal, enabling you to customize your experience and pay for only the amenities you'll use. Plus, take advantage of the ongoing OLife Choice Perks promotion to pick a freebie such as an internet package, beverage package, shore excursion package or onboard credit. You don't like to pay for different restaurants. With the exception of intimate, wine-paired dinners, all of Oceania's dining venues are free of charge. 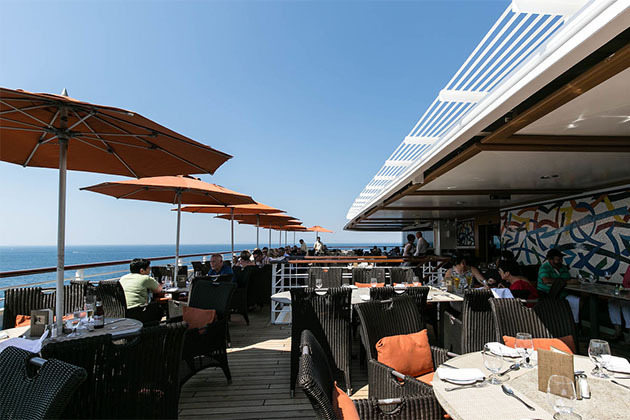 On its O-class ships, Marina and Riviera, your fare includes meals in the main restaurant, beautiful buffet and four specialty restaurants (steak, Italian, French and Asian) -- plus, room service. The other ships each have two specialty restaurants, but you're still not paying. And, did we mention the food is high quality with extensive choices at each venue? 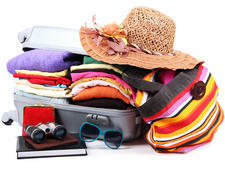 Oceania includes all soda, bottled water, juice and coffee drinks (including lattes and cappuccino) in its cruise fares. You never have to worry about buying water to take on a shore tour or having to shell out for a decent caffeine fix in the morning. You want to learn about food. Oceania doesn't want its passengers to just enjoy lots of gourmet food; it wants to educate them about food, too. Cooking classes on Marina and Riviera take place in Top Chef-esque show kitchens with a main prep station for the teacher-chef (complete with video) and 12 two-person cooking stations for the participants. Culinary Discovery Tours are custom-designed for Oceania by its executive chef Kathryn Kelly, and feature exclusive experiences you won't find on any other foodie tour, as well as market tours and visits to signature restaurants. You cruise for the destinations. Oceania's ships are lovely and comfortable, but they aren't a destination in their own right. They're built as upscale home bases for exploring the world. 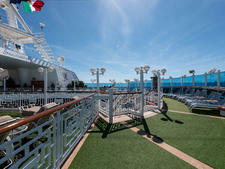 To that end, you'll find Oceania's itineraries to be high on time in port and low on sea days. Overnights in port are common, and every year the line offers a 180-day around-the-world cruise. 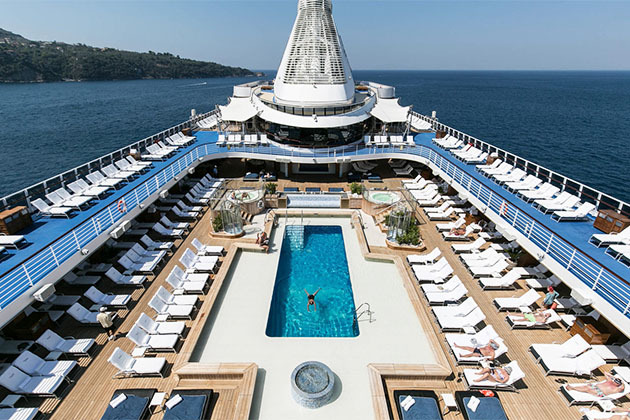 With six ships, Oceania can sail the globe from cruise stalwarts like the Caribbean, Mediterranean and Alaska to more far-flung regions like Africa, Asia, Australia, South America and the South Pacific. Oceania's Marina and Riviera collectively contain more than 2,000 works of art hand selected by company founders Frank del Rio and Bob Binder. The collection is diverse and provocative, with pieces by names you know (Picasso, Miro) and many you don't, and a great conversation starter. You can even take a museum-like audio tour of select works. Plus, if you like to create art, the two O-class ships feature the Artist Loft, dedicated art studios, stocked with art supplies for a range of media. On every cruise, working artists come aboard to teach classes, and passengers can try their hand at drawing, painting, printmaking and more. Insignia's world cruises also offer hands-on classes, though the ship does not have an always dedicated space. Oceania's popular milkshake bar gets a healthy makeover every morning when it serves vegan smoothies, freshly squeezed juices and "energy bowls." The line also has an extensive vegan menu; passengers just need to pre-order meals a few days in advance. We even hear that vegan treats are available at the line's famous afternoon tea, on request. Oceania isn't for everyone. Here are a few reasons why it might not be the line for you. 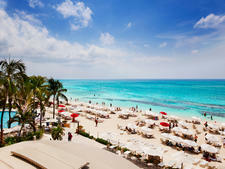 You want an all-inclusive luxury experience with personal service. Oceania's ships feel luxurious, but it is not a true luxury line nor does it try to be. You will have to pay extra for tips, alcohol, fitness classes and shore excursions, and you won't find the same level of intuitive service that you do on the higher-end lines. If that's a problem, try sister line Regent Seven Seas instead. 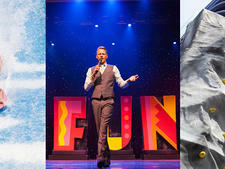 You want amazing nightlife and evening entertainment. Oceania's ships aren't the sleepiest we've seen at night. The theater is always packed for the stage show performed once every evening, even though we found the quality rather average. And a dedicated few will hit the dance floor or attend a late-night show or karaoke session at 10:30 p.m. However, you will not find high-tech theatrics or Broadway shows here; neither will all the bars and lounges be buzzing at midnight. If that's your vibe, try Oceania's other sister line, Norwegian. You want a kid-friendly ship. 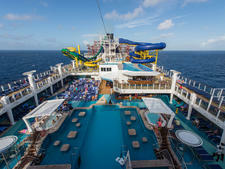 Families do cruise on Oceania, especially during school holiday weeks. However, the ships don't cater to children with youth lounges or kid-specific programming. If your children like pool time, exploring in port and daily milkshakes -- and don't mind long dinners and not making friends onboard, bring them onboard. If you do bring little ones onboard, consider booking a suite, which lets you order room service from any restaurant onboard (including the specialties) at dinner -- useful for kids who don't want to sit through a two-hour or longer meal.